Hilarious! As if that is not where it already is! Anyone wanting to get an idea of what the UK’s cultural-political landscape might look like ‘in real terms’ (as the poets politicians say), when more and more arts organisations lose their funding, whether that comes from local authorities or from national agencies such as the Arts Council, and what kind of impact this might have on communities and the urban environment should visit Farnham in Surrey where such a scenario has been playing out for quite a few years now and the former Redgrave Theatre seems finally about to be demolished. I grew up in Farnham so know these buildings well. 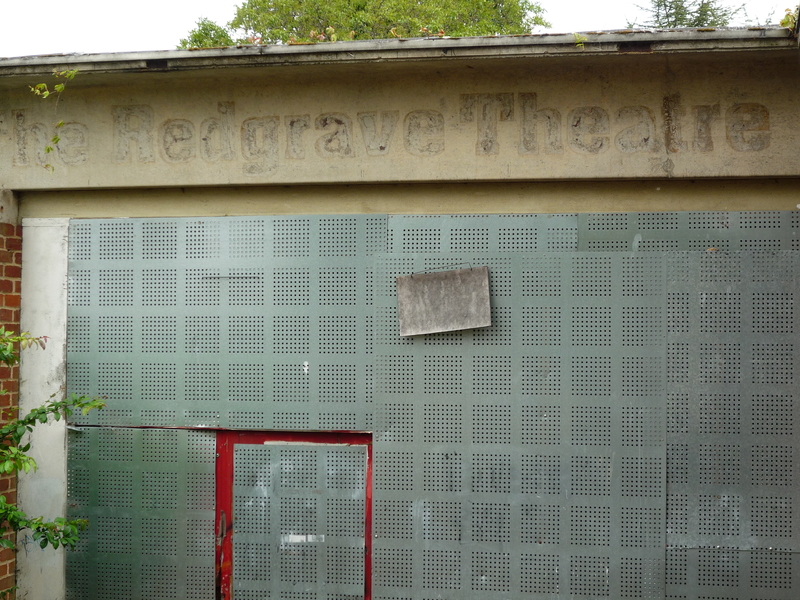 The Redgrave Theatre opened in 1974 and closed down in 1998. There is (much, much) more on the history of the building and of theatre in Farnham here, here and here. 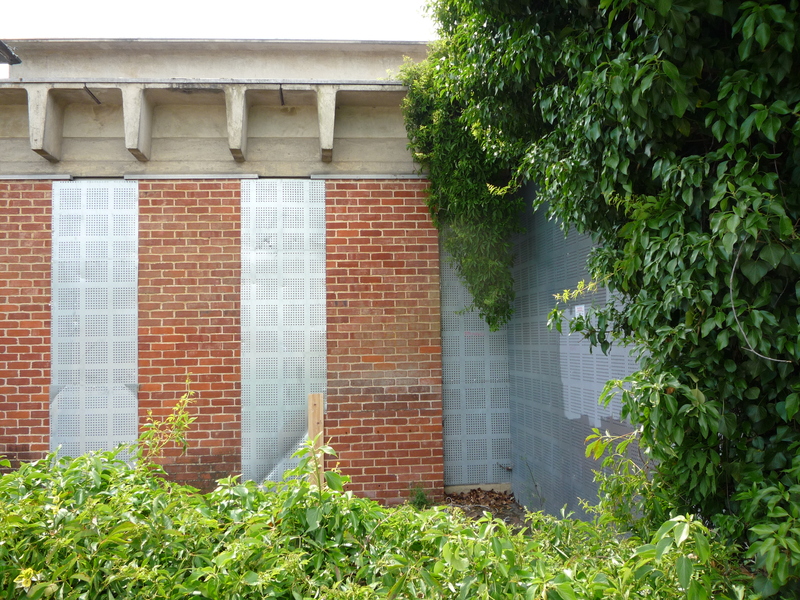 It is enough to say here that the Redgrave was built — following a public fundraising campaign — as a red-brick and concrete addition to a listed building called Brightwells House, the grounds and surroundings of which had become from its public acquisition in the 1920s onwards the site of a number of other local civic and recreational facilities: a health centre, a swimming pool, tennis courts, a bowling club and gardens. In other words, it was a space dedicated to the public good. However at some point Brightwells gardens also became known at local government level as ‘the East Street area of opportunity’. The opportunity in question, it would seem, no longer being for the furtherance of public health, leisure and education but for redevelopment. I was shocked when I visited the town recently for a friend’s wedding to see the widespread and cultivated dereliction of the whole site which this earmarking for redevelopment has created. Meticulous and sustained campaigns by the likes of the Farnham Theatre Association and the Farnham Society seem to have come to nothing or won only the most superficial concessions, so before too long it will be replaced by 239(!) homes in a high-density housing complex, a multiplex, an underground car park, shops and a simulated ‘town square’ — a piece of urban theatre in its own right. Located where it is or was, right in the middle of an ‘area of opportunity’ like this, something as awkward and unremunerative as a theatre would have never stood a chance. The listed part of the actual Redgrave Theatre — the former Brightwells House — will be turned into two restaurants. Those Sunday lunchtime concerts at the Redgrave were made more interesting by the fact that our English teacher often sang with one of the regular bands. 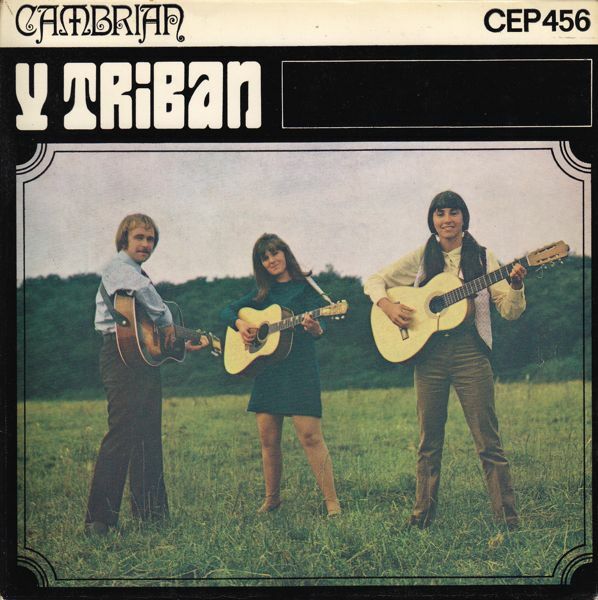 Her name was Eiri Thrasher and in the late 60s she had been in a band on the Welsh folk scene called Y Triban (that’s her in the centre on the cover of their 1969 ‘Dai Corduroy’ EP for the Welsh language label Cambrian). I don’t know how she ended up in Farnham, but I’m glad she did because she was a good teacher. She brought some of her singles into school one end of term — maybe the Triban stuff, certainly some later ones — and played them on the record player in class. I met Eiri by chance on a train in the midlands a decade or so (and a lifetime) later by which time I was at art school in Sheffield. She’d left teaching and was working in the music industry again at the time. Maybe it is not much of a story: theatre closes down! It happens all the time. 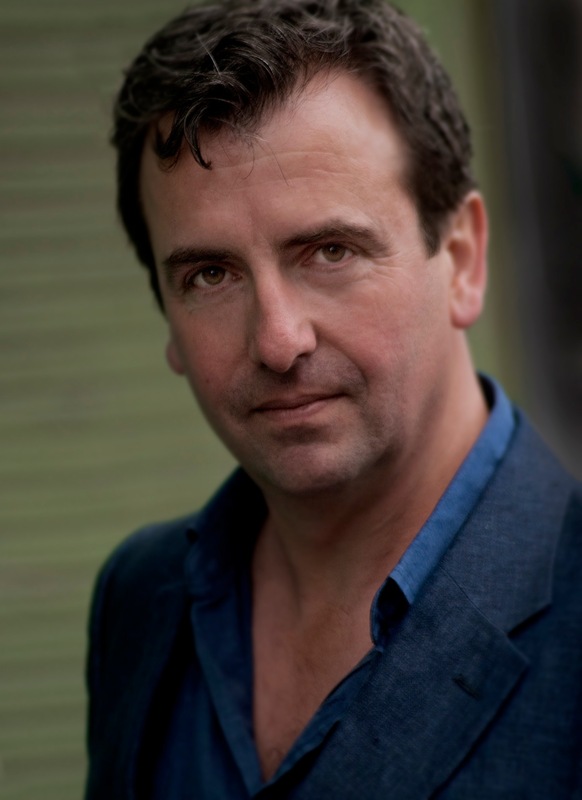 But for me growing up, the town’s few cultural institutions even if they turned out to be as relatively short-lived as the Redgrave were a life saver, a way out; the route to an education and a livelihood. Places like the art school, the library, or The Maltings where as a hungry O or A Level student I sought out screenings organised by the Film Society or CND. The importance of a place like the Redgrave, even if only for those half-seen Sunday lunchtime jazz gigs, was not least that it provided access to what now seems an increasingly radical idea, and certainly one that flies in the face of a commercial opportunity such as that offered by the East Street redevelopment area: that culture is something that you can make and not just something that you buy. P.S. I’m pleased to discover that some of Eiri Thrasher’s stuff, with Y Triban at least, is now on Youtube. Their version of Joni Mitchell’s ‘Night in the City’ was licensed to the recent-ish folk revival compilation Folk is not a Four Letter Word, Volume 2 (Delay 68 Records, 2006). It’s good. * With apologies to Glynn Banks and Hannah Vowles. ← In the BRUTE! style – OFFICIAL!